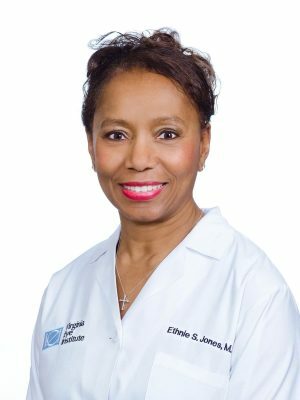 Ethnie S. Jones, M.D. is board certified by the American Board of Ophthalmology and specializes in general ophthalmology. A native of Trinidad and Tobago, Dr. Jones received her Doctorate of Medicine from the Johns Hopkins School of Medicine. She completed her residency in ophthalmology and an internship in internal medicine at the Medical College of Virginia. Dr. Jones completed her undergraduate studies at Johns Hopkins University. She is a Fellow of the American Academy of Ophthalmology, a Diplomat of the American Board of Ophthalmology, and a member of the Virginia Society of Ophthalmology.